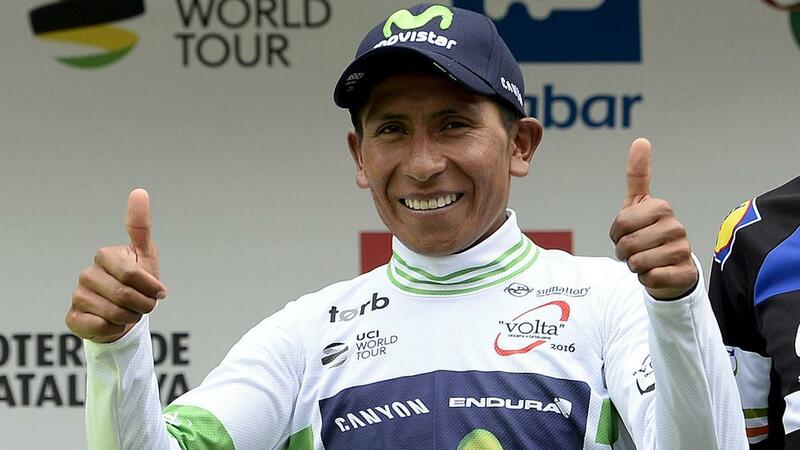 Nairo Quintana will have a strong Movistar squad behind him as he looks to claim victory in the upcoming Tour de France. After taking second place on his debut Tour in 2013, Quintana returned last year to fight for the general classification title and pushed Chris Froome all the way. Eventually Froome showed he had too much for the Colombian, but Quintana is expected to go close again when the Grand Tour begins on Saturday after winning the Route de Sud last week. So impressive has the 26-year-old been he was named as Movistar's lead rider weeks before the 21-stage race, with Alejandro Valverde his right-hand man. Valverde – who finished third in 2015 behind Quintana – has already stressed his focus is on the Olympic Games in Rio later this year, but the Spaniard is determined to help his team-mate go all the way in France. Movistar's team is completed by Imanol Erviti, Gorka Izagirre, Winner Anacona, Dani Moreno, Nelson Oliveira, Ion Izagirre and Jesus Herrada, but there is no place for Alex Dowsett. Erviti impressed during the 2016 Classics, while Ion Izagirre has been one of Movistar's stand-out riders with his performance at the Tour de Suisse and a a fifth-place finish at Paris-Nice.